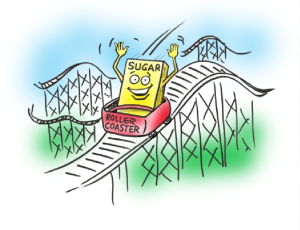 We typically think of sugar consumption when we consider blood sugar management. For instance, if we eat less sugar, we will have better blood sugar levels, right? This follows last decade’s logic that we should eat less fat so we will have less body fat. This advice did not turn out to be exactly right, given our current knowledge about health promoting fats like omega-3 and olive oil. Along the same line, we posit that if we eat foods that contain fewer glycemic carbohydrates, we will have healthier blood sugar levels. While this is true in the long run, it’s not the most powerful answer. Eating fewer glycemic carbohydrates will cause less sugar to be circulating in the blood from that particular meal. There is evidence that consistently eating low glycemic foods helps to maintain healthy blood sugar levels over the course of a lifetime. 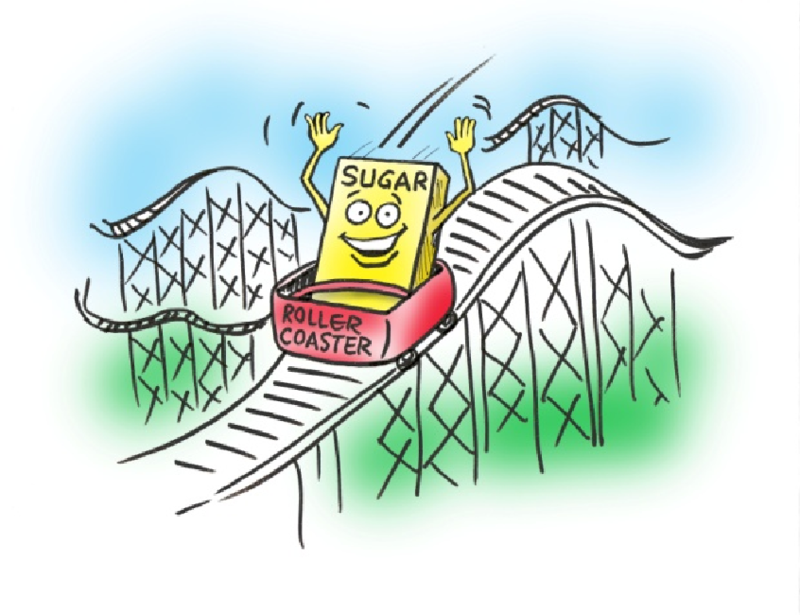 As we already know, food formulators have replaced high glycemic carbohydrates with lower glycemic alternatives for quite some time: alternative sweeteners and sugar alcohols have replaced sugar, while protein and fibers have replaced flour. However, lowering the glycemic response of one meal will not change metabolism or the way the body manages blood glucose over the short run or help to reverse prediabetes. The primary benefits are applicable to that one meal. To use a sports analogy — this is a base hit in the first game of the pee wee baseball season if we are young. It is helpful over the long run, but it takes a consistent hitting average, game after game, day after day, to stay in the game and become a champion in blood sugar management. It reduces the glycemic (blood sugar) response and the insulin response of foods when it substitutes for flour or other high glycemic carbohydrates in food. As a white, bland tasting powder, natural resistant starch can substitute for approximately 20% of the flour in most baked goods and in home cooking. Some of these studies include Vonk AJCN 2000, and Anderson AJCN 2002. It increases insulin sensitivity, and lowers insulin levels circulating in the bloodstream while maintaining blood sugar control. Dainty JN 2016, Gower, NM 2016, Bodinham BJN 2013, Maki JN 2012, Robertson JCEM 2012 , Johnston DM 2010, Zhang ZYFYXZZ 2007, Robertson AJCN 2005, Robertson D 2003. This data formed the basis for an Ingredion petition to the U.S. Food and Drug Administration for a health claim that resistant starch from high amylose corn reduces the risk of type 2 diabetes and helps to reverse prediabetes. Additional information on this petition is included here. Improved insulin sensitivity have also been shown with resistant banana starch, Ble-Castillo IJERPH 2010, Ble-Castillo I 2012, Jimenez-Dominguez IJERPH 2015, Sarda JFF 2016, and resistant potato starch, Alfa FM 2018. High levels of insulin prevent fat from being burned and trigger fat storage, which has implications for weight management. Increasing insulin sensitivity is the home run in the championship series of glycemic management. You do not have to wait for years to see if there are glycemic benefits – you get them within a few hours and it keeps working for a number of days. It is especially valuable for individuals with high levels of insulin who may already have prediabetes and weight problems.